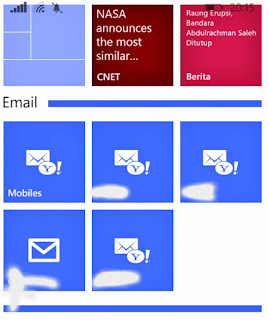 To make it easier to display email in tile WP, there are several settings that must be changed. It aims for you mobile users who have multiple accounts Lumia Email and not get confused if you want to use Email ... which one will open. The Name with there emails that made you will easily find an account where you will be using. Simply go into the settings menu > > Email + Account, then you will find some of your Email with the name of your default Email ... (yahoo2, yahoo3 and so on). Next, select the Email where you would rename. 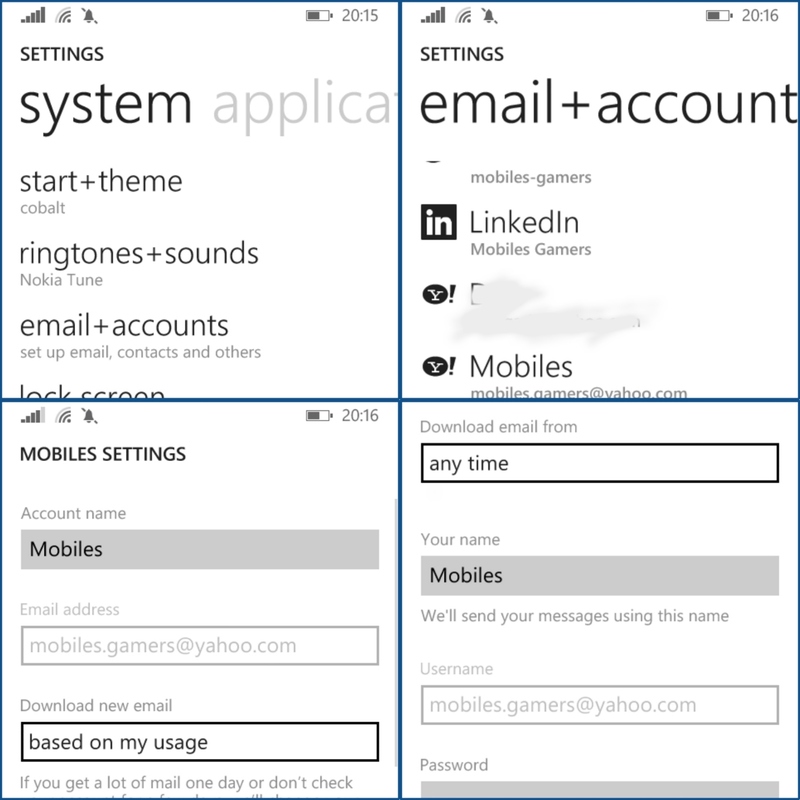 Select the Accout name and Your name, fill in the appropriate box the name of the Email or name anything that can provide convenience for you to display in Tile Windows phone. 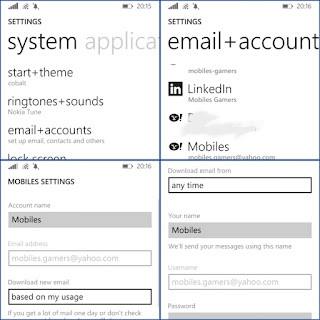 Once complete, your account automatically or Shortcuts will appear on the screen of your WP Lumia Tile. 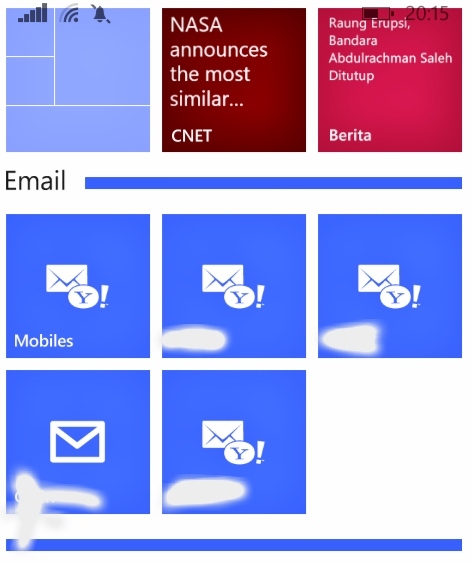 If it does not appear, it could go into the main menu, and pin Email to Tile WP. You are on the website page WINDOWS MOBILE PHONE - setting and Upgrade. Setting Email With the link URL http://hand-uk.blogspot.com/2015/07/setting-email.html for this articles, you can bookmark or share to any. Our expectation that Windows smart phone users, can understand and know about OS Windows phone. Setting Email Is a link for you, How to use the pure smart phone.